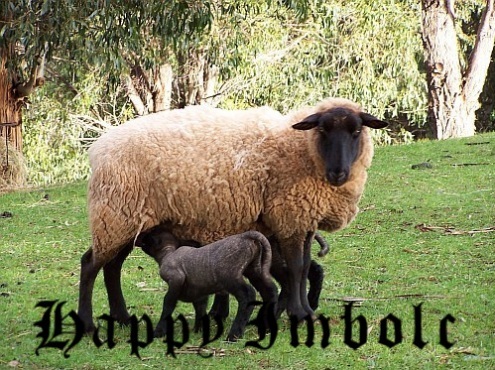 Happy Imbolc, St. Brigid’s Day, Candlemas, Groundhog Day. This time of year was celebrated in the British isles for at least 3,000 years, the age of several megalithic stone circles in Ireland oriented toward the positions of the sun on Samhain and Imbolc http://en.wikipedia.org/wiki/Imbolc. The people who raised the standing stones were as remote from the Celts as the Celts are from us: we can only speculate on their motives and the meaning the day had for them. And even though the word, Imbolc was used in the middle ages in Ireland and Scotland, who and what the Celts celebrated isn’t certain. The earliest written records of Celtic cosmology come from Julius Ceasar’s commentary on the Gallic War, 51-52 BCE, in which Celtic beliefs are filtered through the Roman perspective. Even so – even if our stock of “Celtic lore” dates from the 19th century on, when a revival of interest began (think of pre-Raphealite painting and William Morris’ craft movement), that does not mean it is not “authentic.” When Yeats tramped around Ireland at the turn of the century gathering fairy lore, some of his informants lived such remote lives that they only spoke Gaelic. How far back can such an oral tradition go? Pretty far according to most folklorists. At Imbolc, the maiden goddess, Brigid or Bride supplants the Cailleach, the hag of winter. Brigid is the goddess of healing, poetry, and smithcraft. And fire and divination and wisdom and childbirth. As patron of healing she presides over numerous sacred wells in Ireland and in Britain (where they were renamed for Minerva by the Romans). To this day, people extinguish old fires and light new ones for the coming year in her honor. Brigid the goddess was supplanted by Brigid the saint in the Christain era, where she was revered as, “the Mary of the Gaels.” Numerous miracle stories surround her life. When just an infant, neighbors saw a fire burning at her house that rose to the heavens. http://www.brighid.org.uk/saint.html. 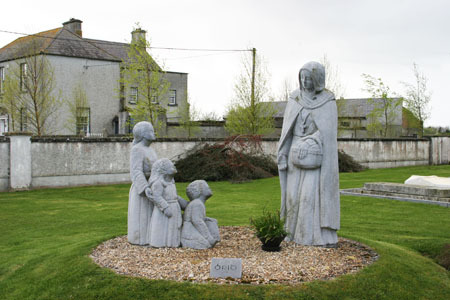 Though a beautiful woman, Brigid renounced marriage to found dual monastic communities at Cill Dara, now Kildaire, in Ireland. The nuns tended a sacred flame that burned continuously until the reformation, except for a brief 13th century inteval where a bishop had it extinguished for being too pagan. 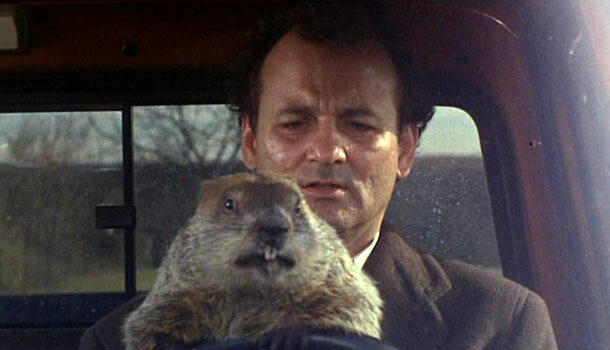 Of course no discussion of February 2 would be complete without a reference to Groundhog day, although locally, the staff at the Folsom City Zoo Sanctuary points out that groundhogs are not native to the American west. Here we celebrate Prairie Dog Day. There is also an old Celtic tale involving the Cailleach that explains the importance of weather on Feb. 2. I don’t keep sheep, but the signs of spring are everywhere. It’s light out at 5:00pm. The sap from the liquid amber tree takes a nightly dump on my car and I swear every year at this time to dig out our car-cover. The buds on the apple tree are a bit late but I expect them any day now. Strangely, pruning the apple tree is one of those rituals of super-bowl sunday I always enjoy. The super-bowl itself is like the closing rite of winter – after this I won’t want to spend an entire sunday afternoon indoors. In two weeks the almond and walnut trees will be covered with blooms that look like snow when they fall. Our brown hills will turn emerald green for a month or so. May everyone have a happy Imbolc and bask in the promise of the return of light and warmth to the earth. This entry was posted in Holidays and Festivals, oral tradition and tagged folklore, holidays, postaweek2011, religion. Bookmark the permalink.